The Ford Thunderbird has been one of Ford's most durable nameplates, even though there isn't a car wearing the badge in the company's current lineup. Conceived in the Fifties, the Thunderbird disappeared from Ford showrooms after the 2005 model year and eleven generations, with no successor yet in sight. The first-generation Thunderbird was spurred by interest in small sports cars being imported in greater numbers from Europe--and by interest in the new Chevrolet Corvette. Ford began work in 1953 on a new two-seat car with a more luxury-roadster appeal than Chevy's sportscar. The original Ford concepts were planned around a Ford V-8, with a vehicle weight of about 2,500 pounds and an intended top speed of 100 mph. After a very quick development cycle of about a year, the new car was revealed at the 1954 Detroit Auto Show wearing the name Thunderbird. Other names, such as Falcon, Eagle, Tropicale, and Thunderbolt were discarded. The Thunderbird went into production in 1954, and went on sale in the fall as a 1955 model. Built on a shortened Ford platform, the sporty, handsome convertible was offered with a V-8 shared with Ford's Mercury brand. A hardtop was an option. The car sold very well, and over its first year, it was updated to a larger-displacement V-8 with a choice of two- or three-speed automatics. The Thunderbird's signature styling cue, its porthole window, was added to the removable hardtop in the 1956 model year; the spare tire also moved to the rear bumper, though it moved back into the trunk for the 1957 model year when it also received a bigger grille, larger fins and taillamps. Why mess with success? Ford executives had a hit on their hands, but were convinced there was more potential in the Thunderbird name. As a result, the classic two-seat design was ditched in the 1958 model year, as the T-Bird family grew an additional model line extra pair of doors. As a roadster or a sedan, the Thunderbird had grown more bulky, adding a 300-horsepower V-8 and nearly a thousand pounds to its curb weight despite a switch to unibody design. Styling fell along the lines that would fell the fledgling Edsel brand: fins, grilles, and non-functional scoops were the order of the day for the second-generation T-Bird, which was sold from 1958-1960. It was a smart sales move--T-Bird sales nearly doubled again as the 1961 model year drew near with yet another full redesign of what was now one of Ford's most popular model lines. The 1961-1963 Thunderbird launched to great fanfare as the pace car at the 1961 Indy 500, and as a parade vehicle in the inauguration parade for President John F. Kennedy. The reshaped T-Bird steered completely clear of the second-generation car with an evocative nose that earned it the nickname "Bullet 'Bird." A new V-8 engine made 300 horsepower and channeled power to the rear wheels through a three-speed automatic transmission. Offered as a coupe or as a convertible, the Thunderbird had dropped its sedan model while it gained a landau-top edition. Special roadster editions and Holley-carbureted versions are rare collectibles. As had become the norm, Ford vacillated again over the T-Bird's appearance for the fourth-generation model, which was sold from 1964 to 1966. The front end was squared off once more, while body styles and powertrains remained the same. Sequential taillights were added in 1965, and in 1966 the grille was revamped with an eggcrate design. Power ratings were up on the base engine, while a 428-cubic-inch V-8 with 345 hp became an option. With the 1967 model year came another sea change in Thunderbird history, when it returned to body-on-frame construction and to a four-door sedan body style. Ford had had extraordinary success launching the Mustang in 1964--and moving the Thunderbird upscale gave both room to breather. It cost Ford the quintessential convertible version of the T-Bird, however. New styling themes gave the fifth-generation 'Bird a more avant-garde look, with a large front end with hidden headlights. 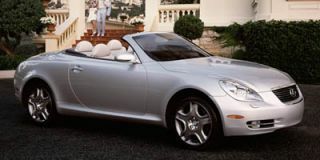 For the 1970 model year, it grew more of a prominent nose--a "beak"--and in 1971, it became one of the first cars to appear in the Neiman Marcus catalog, in a "his and hers" edition. For the 1972-1976 Thunderbird, the sixth generation, Ford would finally drop the four-door sedan model. The T-Bird had grown even more, now some 214 inches long, and with its newly available 7.5-liter V-8, it was enormously heavy at nearly 5,000 pounds. Far from its roots, the 'Bird was now a platform cousin of Lincoln's Mark IV. Over the seventh and eighth generations, spanning from the 1977 to 1982 model years, Ford would downsize the Thunderbird, retaining body-on-frame construction and a coupe body style as the company struggled with new safety and emissions regulations--all in the middle of rising gas prices. The 1977-1979 Thunderbird would ride on a shorter wheelbase of 114 inches like Ford's new LTD II; it became the natural competitor for the Chevy Monte Carlo and Pontiac Grand Prix. Overall length was down by 8 inches, and curb weight was down by almost a thousand pounds. Ford's Windsor and Cleveland V-8s were mated to automatic transmissions. Looking for even bigger fuel-economy gains, Ford again slimmed down the eighth-generation Thunderbird in the 1980 model year, moving it to a shorter Fox platform of Ford's Fairmont sedan. Nearly six inches shorter in wheelbase, the T-Bird shaved more than a foot from its overall length--and styling suffered from awkward proportions and downright baroque roofline and details. Two versions of the Windsor V-8 were emissions-strangled, eventually leading to a popular option in the 1982 model year, a new 3.8-liter V-6. In its next iteration, the Ford Thunderbird would undergo the most dramatic change since it added a four-door model, back in the Fifties. Ford decided its best route to further gas-mileage gains would come through aerodynamic design--and the ninth-generation Thunderbird introduced in the 1983 model year became the new calling card for a revolution in Ford design. The 1983-1988 Thunderbird still rode on the same platform as in its previous edition, but it was shortened once again--its 104.2-inch wheelbase is shorter than some of today's compact cars. Powertrains were carried over; the 3.8-liter V-6 came in base coupes, with the 4.9-liter Windsor V-8 returning as an option on the T-Bird and its redesigned cousin, the Mercury Cougar. The newest addition to the lineup was the Turbo Coupe, which bore a 2.3-liter turbo four that eventually would be shared with the Mustang SVO and the Merkur XR4Ti. It was offered with a five-speed manual, but most of these Thunderbirds came with a three-speed automatic. In 1987, the T-Bird adopted a new look--one magazine called it a "Polynesian war canoe"--with a bowed front end that appeared only on upmarket versions, while base models carried a small chromed grille. For its tenth generation, the Thunderbird took a great technological leap as it left behind the dated Fox platform, and moved to a new rear-drive architecture that Ford would eventually use across its Ford and Lincoln lineups. With an independent suspension and a wheelbase nine inches longer than the previous car, the 1989 Thunderbird also pared down its engine lineup, dropping its V-8s and outfitting the new car only with either the V-6 or a supercharged version of the same engine in the Thunderbird SC, which came with either a five-speed manual or a four-speed automatic. 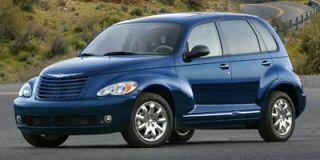 The SC model was well-received, but by this time, the Thunderbird's appeal was losing ground to a new kind of vehicle, the sport-utility vehicle. By the time Ford introduced its era-defining Explorer, the T-Bird had once again resorted to a V-8 engine, slotted in the middle of the lineup, putting it ever closer to the new Lincoln Mark VIII introduced in the 1988 model year. In 1994, Ford swapped that eight out for a new 4.6-liter "modular" V-8 and a four-speed automatic--but the end was near. In 1996 the Thunderbird SC was dropped; in 1997, Ford stopped building the Thunderbird entirely. As it approached its 100th year in business, Ford controlled an empire of luxury brands--from Jaguar to Volvo--that stretched its resources. The Ford brand suffered--but still, the company plotted the return of the Thunderbird nameplate for the 2002 model year. 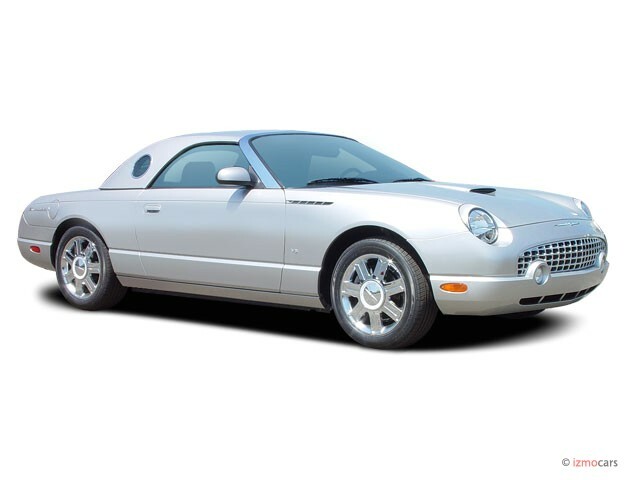 Based on a new rear-drive architecture shared with the Lincoln LS and Jaguar S-Type, the 2002-2005 Thunderbird reverted to its classic incarnation, as a two-seat, rear-drive, V-8-powered roadster. With a charming retro silhouette, this eleventh-generation Thunderbird made a strong first impression--but its interior was lifted nearly intact from the Lincoln LS, and its body structure left much to be desired. Its Jaguar-derived 3.9-liter V-8 was a lackadaisical performer in the heavy two-seater, too, even with a five-speed automatic. Sales were never very strong, and after the 2005 model year, Ford once again shelved the classic Thunderbird nameplate. 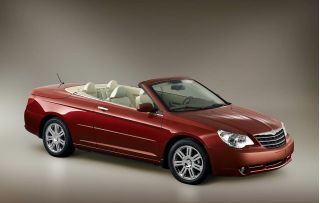 Style, Comfort, handling and performance, all in an exclusive elegant, retro look package. A very nice riding car with many options. I wish the MPG's were better but the good out weighs the bad. All in all a fun car to drive.